Microsoft is launching the next version of Ax next year. There will be a conference where partners can have a early look on the application. The conference is held on the Redmond campus from January 17 through January 20, 2011. You can find more information regarding this conference on http://www.microsoft.com/dynamics/DynamicsAXtechnicalconference2011. 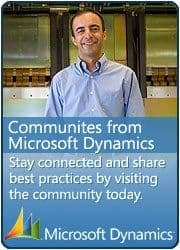 If you want a sneak preview into Microsoft Dynamics Ax 6.0 and if you want to know all about the new features, follow the MFP-blog!